Coach Claxon graduated from Mount Vernon Nazarene University where he played four years of college soccer. He stayed two addition years as an assistant coach at Mount Vernon before finishing his Masters in Education at The Ohio State University. 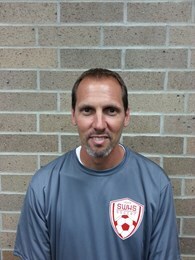 His coaching career at South Webster began as an assistant coach under former head coach Ryan Wills for two seasons. In 2003 he took over as head coach and is now entering his 14th year.